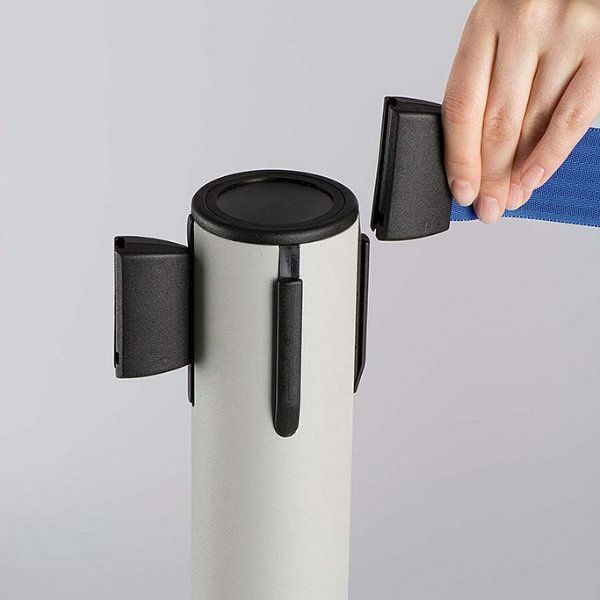 Packing Size: 3.94" x 38.19" x 4.92" / 15.35" x 15.35" x 2.36"
Tension controlled belt. Sturdy and durable steel construction. 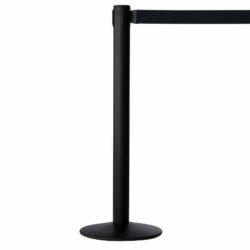 It features with rubberized and heavy weight base . 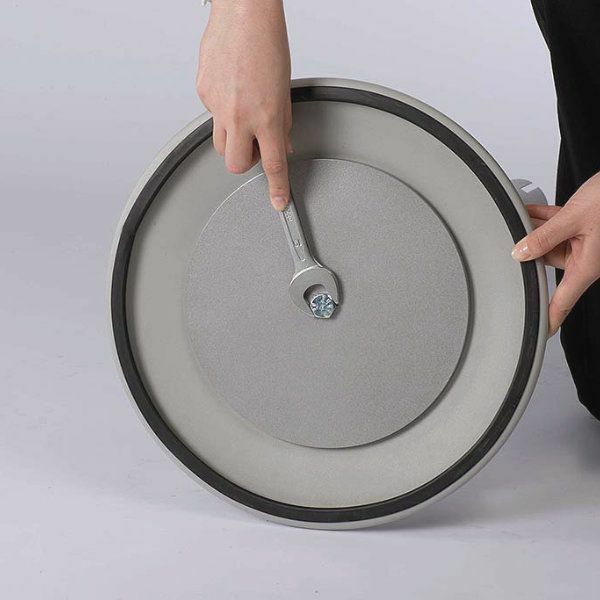 Wall fitting for tool is also available. Belt length is: 9.84′ (3 meter). GRAY STANCHION WITH RETRACTABLE BELT Each retractable belt queue system has a 4 way post cap that allows attaching from 4 different directions. Simply unhook the belt from the stanchions and reconnect it to the top of another. 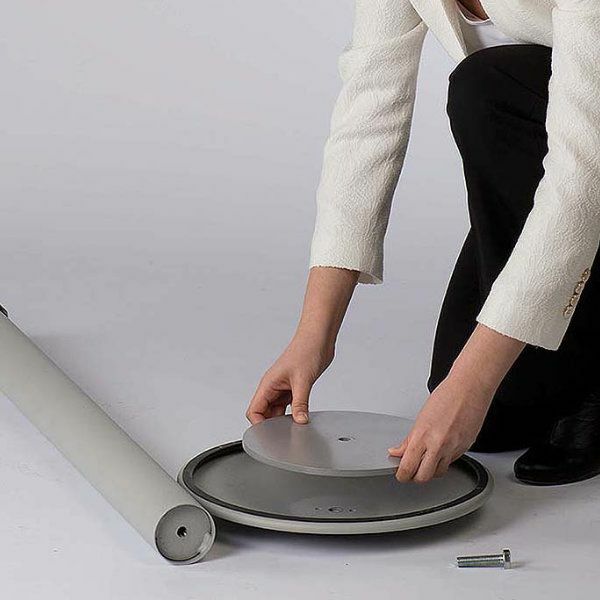 Assemble & disassemble take less than a couple of minutes for storage or transport. 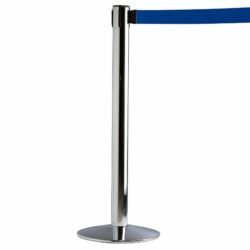 Our crowd control system or as also called queue management cordoning features a built- in belt locking mechanism. 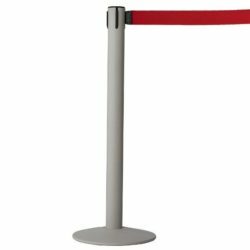 The total height of this gray powder coated stanchion is 37″ long. The red nylon belt can extend up to 114- 1/6″. 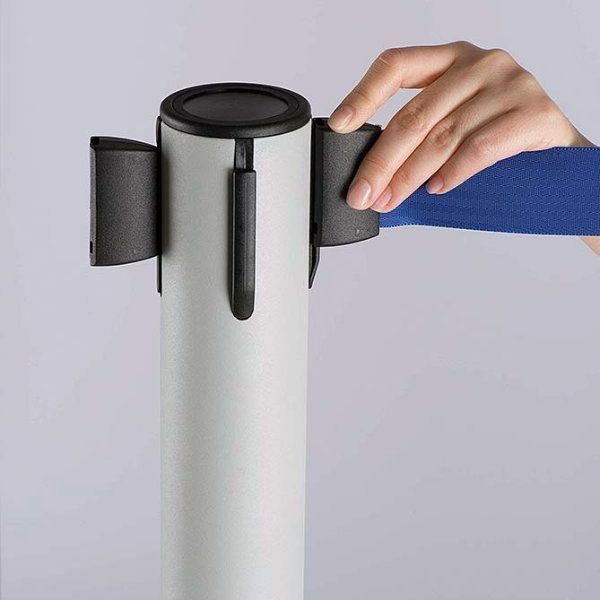 Printing on the belt is also available on an area of 1- 4/7″ x 103- 2/7″. 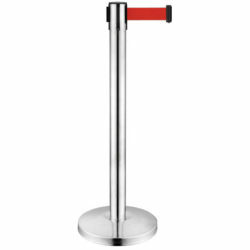 Each queue control stanchion post has a heavy and sturdy base that is also rubberized. 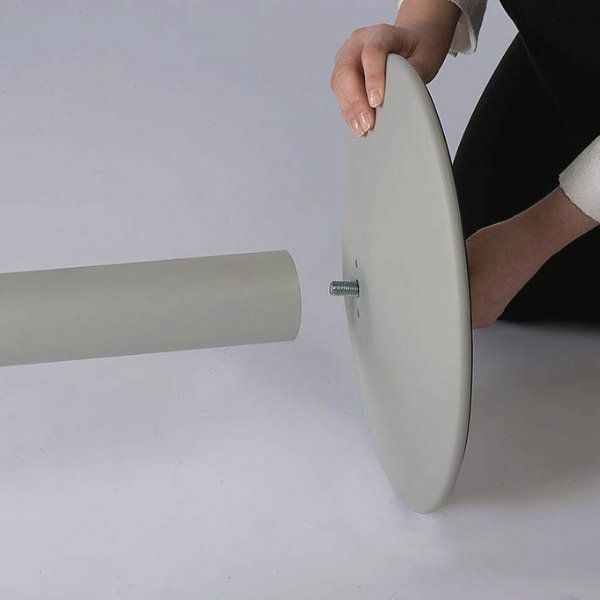 This feature prevents movement and protects floor from damaging. 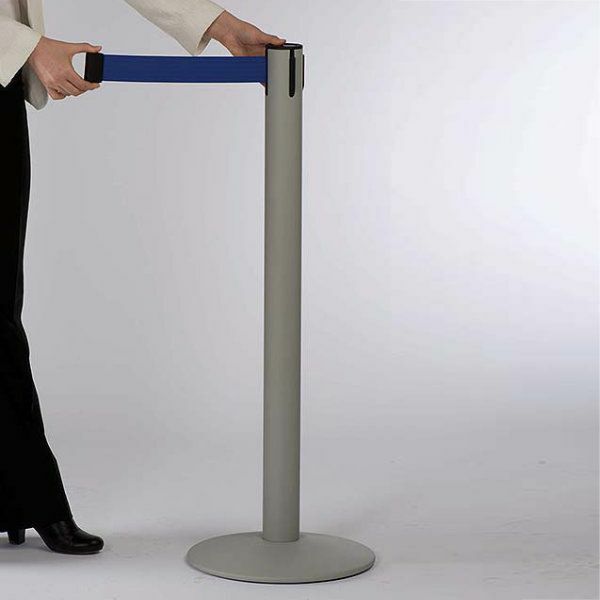 Depending on the configuration as many posts as required can be placed and connected. Queue management displays are a smart retractable barrier system, ideal for use of managing crowd in retail outlets, airports, entertainment venues, reception areas or any location where queue control is required.